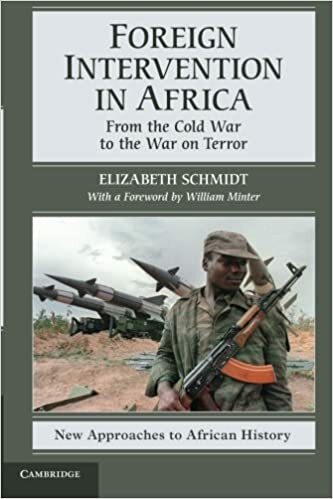 Foreign Intervention in Africa chronicles the foreign political and military interventions in Africa during the periods of decolonization (1956-1975) and the Cold War (1945-1991), as well as during the periods of state collapse (1991-2001) and the "global war on terror" (2001-2010). In the first two periods, the most significant intervention was extra-continental. The United States, the Soviet Union, China, Cuba, and the former colonial powers entangled themselves in countless African conflicts. During the period of state collapse, the most consequential interventions were intra-continental. African governments, sometimes assisted by powers outside the continent, supported warlords, dictators, and dissident movements in neighboring countries and fought for control of their neighbors' resources. The global war on terror, like the Cold War, increased the foreign military presence on the African continent and generated external support for repressive governments. In each of these cases, external interests altered the dynamics of Africa's internal struggles, escalating local conflicts into larger conflagrations, with devastating effects on African peoples.